You have just discovered the ultimate source for comprehensive solutions to brass playing challenges. We guarantee you will love your new Harrelson instrument with the industry's only 1-year exchange option. Have you ever wondered why the upper register on one trumpet is easier than another trumpet? We know why this happens. In fact, we developed the Variable Performance System (VPS) to address this very problem. We guarantee you will find the correct VPS setting to fit your playing preferences in a matter of minutes. 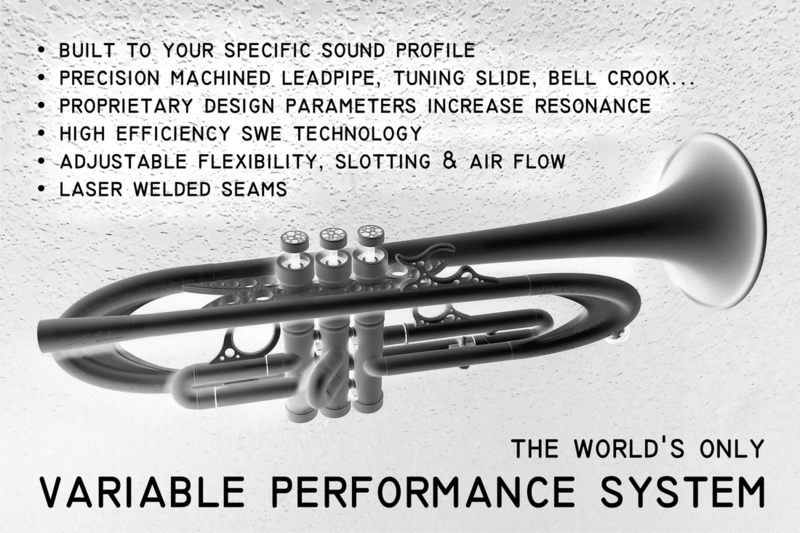 We have invested over 20 years into research in physics, acoustics and modern manufacturing to bring you the most versatile and efficient brass instruments available on planet Earth. only 24 will be built to your exact specifications - are you on the list? Harrelson instruments, mouthpieces & accessories are machined, hand assembled and finished in Denver, Colorado, USA.